The Mishna seems to dispel this notion somewhat. The Gemara (ibid.) explains that it is forbidden to formulate such a prayer because it makes it seem that Hashem’s commandments are some form of compassion, when in fact they are Heavenly decrees. The Rambam (Peirush Ha-Mishnayos, Yad Ha-chazakah [Tefilah 9:7]) explains that were the reason for this mitzvah strictly because Hashem has compassion on animals, He could have told us not to kill animals at all. He did not, because the animal kingdom was given to humans for their use. Ramban explains that while it is wrong to say that the mitzvah was given because of Hashem’s compassion for the mother, it is perfectly reasonable to say that it was given in order to cultivate our sense of compassion; that although we are permitted to use and even kill animals for our benefit, we should do so in a way that causes them as little distress as possible. The Mishna itself requires some explanation. One who says, “May Your compassion extend to the nesting bird” – what exactly is he asking for? That Hashem should have mercy on the nesting bird? Why would the Mishna imagine someone might offer such a prayer as a result of this mitzvah? Hashem has already shown His compassion by giving the mitzvah, now it is up to us to have the compassion! The Tzelach explains that the prayer is thus: “Just like You had compassion on the nesting bird, so may You have compassion on us.” If so, the Mishna really omits the main part of the prayer. Also, why would the Mishna use the future tense, ya-gi’u rachamecha – may Your compassion extend, and not the past tense? The holy Zohar writes that the reason for the mitzvah of sending away the mother is that when she returns to find her nest empty, she begins flying from tree to tree to find her missing children, and cries out in anguish each time she is unable to find them. This, says the Zohar, arouses Hashem to take compassion on his Children who are in exile, and bring them back to their “nest” in Eretz Yisrael. If this is indeed the reason, why would it be forbidden to formulate a prayer based on it, and ask that our mitzvah should succeed in arousing Heavenly mercy? The Vilna Gaon writes that the Gemara and the Zohar (Kabbalah) never disagree; if you think they do, it’s only because you have failed to truly understand one of the two. How are we to resolve the seeming differences between the Mishna and the Zohar? A father of a large family once left on a trip, and never returned. After months of waiting with no news, it became clear that something terrible must have happened. Many years passed. Eventually, his sons decided that they would form a search party, and travel through forests and over mountains, retracing their father’s steps, in hope of finding some clue as to what may have happened to him. They packed provisions, and set out on a long and tiring journey. Eventually they ran out of food, and were forced to forage for fruits and berries just to survive. At some point, a man and his son – who were well provisioned – came across this sorry group wandering in the forest. They looked thin and fragile. Strangely, the excursion seemed to have taken its toll more on the elder brothers than on the younger, who still retained a hearty complexion. The man had compassion on them, and, after listening to their story, he set out a lavish meal for them. To his own son’s amazement, he seemed to dote over the young brothers far more than the older ones, even though were surely the more robust. There are two ways Hashem’s compassion can be aroused to redeem us from exile. We can pray for redemption with all our hearts, and break open the Gates of Heaven with our cries and supplications. We can cry out to Hashem like David Ha-melech (Tehillim/Psalms 84:3-4) did, “My soul yearns, indeed it pines, for the courtyards of Hashem… Even the mother bird finds its home, and the free bird her nest where she laid her young – O to be at Your altars, Hashem!” The bird finds her home as she left it – yet our Homeland has been taken away from us, our House destroyed. In the first scenario, it is we that arouse Hashem’s compassion. Why, we beseech, should we be less than the bird? 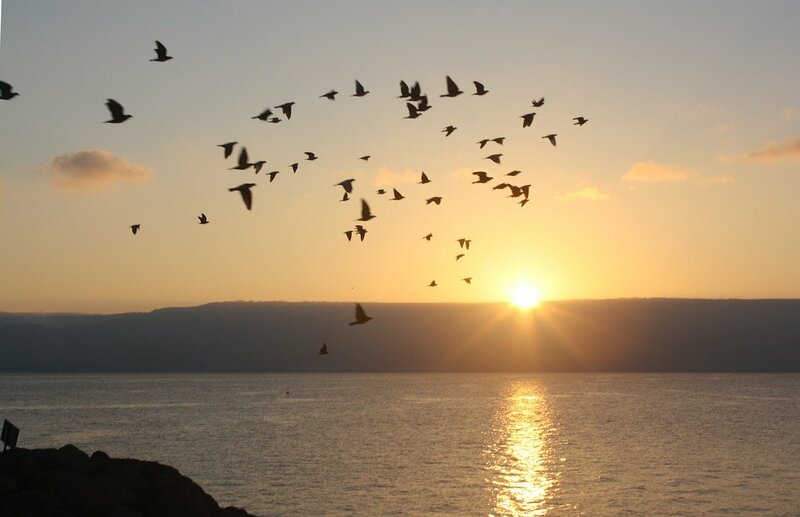 In the second, it is Hashem’s compassion for the pining bird that arouses His compassion towards us; we no longer have the ability to properly arouse. Perhaps the prayer, “May Your compassion extend to the nesting bird,” leaves out the second half of the prayer, because when it reaches the point that we must look to the pining bird to arouse Hashem’s compassion, it is no longer we that are praying – we don’t know why. We tell him to be quiet. As long as we still have the ability to pray, we must do our best to feel and mourn our loss, and not to “make peace” with our lack of feelings and emotion. To formulate a prayer based on Hashem’s compassion on the bird, and not on us, would be to shirk our responsibility, and to give up our own longing and pining. The Zohar addresses the reality that there are times when we fail to comprehend our losses, and lose the ability to fully arouse Heavenly compassion on our own behalf. At these times, the mitzvah of kan tzipor stands in our stead. The mother bird, who feels her loss, can not be consoled nor relieved of her pining, so too there is no way to mend the Jewish heart – even if it fails to understand the source of its pain – short of bringing it back to its home and rebuilding its nest. There are most likely times at which we feel our exile most poignantly, and are able to beseech Hashem to return us to our land and give us back the Beis Ha-mikdash. Perhaps there are times when the barriers of galus so surround us that we fail to see beyond them. The mitzvah of sending away the mother bird gives us the strength to get past our most difficult hours.